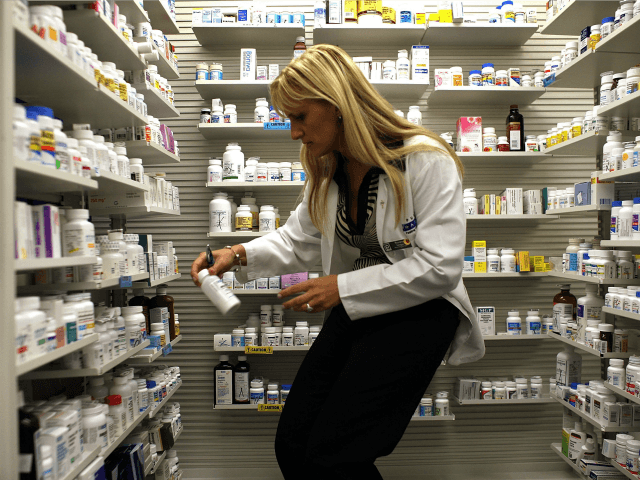 In the past, Congress has failed to enact sufficient reforms to lower drug prices. When Congress was drafting the Medicare Part D prescription-drug benefit, big pharma added a provision which banned the Centers for Medicare and Medicaid Services from negotiating with drug companies to set prices. Now, pharmaceuticals cost America over $350 billion a year, which is roughly two percent of gross domestic product. Ravo Mehrotra, of MTS Health Partners, estimated that the government could save $16 billion if the government negotiated drug prices. In March, President Trump tweeted that he is working on a new system to bring down drug prices. Later that month, two of the biggest pharmaceutical firms announced that they will lower the cost of their pharmaceuticals. Sanofi and Regneron Pharmaceuticals Inc. said that its new treatment for atopic dermatitis, a painful skin condition, will cost $37,000. This is a substantial decrease from the $50,000 price tag for similar treatments. Roche Holdings AG, lowered its price for a multiple sclerosis drug to $65,000, 25 percent cheaper compared to a 15 year-old competitor, Rebif. Novo Nordisk followed the leadership of Brent Saunders, chief executive of Allergan, who issued a “social contract,” promising to limit the annual increase of the price of pharmaceuticals. Merck, Johnson & Johnson, and Lilly unveiled plans to increase their transparency regarding their drug pricing. This entry was posted on jeudi 6 avril 2017 at 15 h 18 and is filed under Ministère de la santé. You can follow any responses to this entry through the RSS 2.0. You can leave a response.